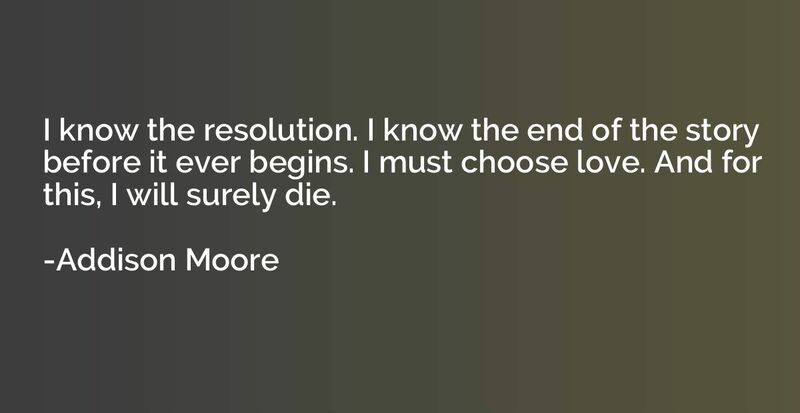 I know the resolution. I know the end of the story before it ever begins. I must choose love. And for this, I will surely die.